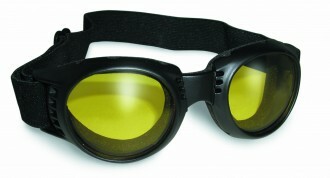 Paragon Goggles are an excellent deluxe motorcycle goggle by Global Vision. It features all the usual anemnities you would expect from a quality motorcycle goggle such as polycarbonate anti-fog lenses, 100 % UV 400 ultraviolet protection and great wind sealing action to keep tearing and eye burn miles away from you. Paragon are available in 3 lens color options. 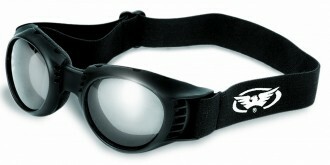 Also, the flatness of the Paragon lenses make it an ideal choice to accomodate Prescription Lenses. Simply pop out the lenses the Paragon comes with, take them to your optometrist and have RX leses made using them for reference.